Once again Orient Express has renewed their sponsorship contract for the famous Pro Street class featuring the World’s Fastest Streetbikes in the MIROCK Superbike Series. Orient Express has been a class sponsor of the Pro Street ever since it’s inception into the series in 2009. Not only has Orient Express renewed their sponsorship program; they have increased the payout in the Pro Street class as well. Orient Express has added even more purse money to the Pro Street class for the 2011 season (see full purse below). The Pro Street class will pay $2,500 to win, $1,000 to runner-up, $250 to semis, $150 to 1/4 finals, and $75 to 1/8 finals (Total purse of $5,200). The entry fee will remain the same at $150. Last years Pro Street Championship was an intense season as 47 different Pro Street racers entered competition for the 2010 season. 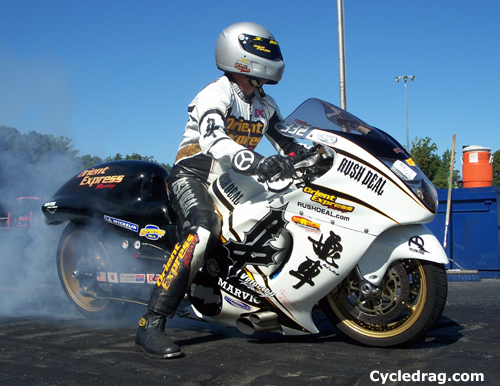 Rodney Williford of Rougemont, NC took home the 2010 Pro Street Championship going rounds and taking out the competition. The biggest bike count for the year in the Orient Express Pro Street class was at July’s FBG / WPGC Bike Fest event with 28 bikes entered in competition! New bikes are built for the Pro Street class everyday and the 2011 season looks to be the strongest season ever for the class. Do you have what it takes to win a Pro Street Championship? 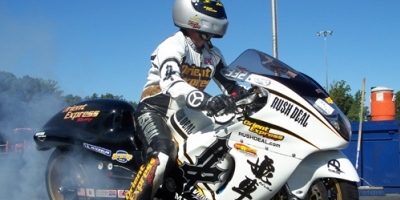 ”The Orient Express Pro Street class has been a huge hit in the MIROCK Superbike Series with great competition among different model motorcycles and some of the wildest looking machines that ever took to the strip. Our MIROCK fans are shocked to see these street tire motorcycles run speeds over 200mph, and the E.T. World Record for Pro Street is held is held at MIROCK with Bud Yoder’s unbelievable 7.115 record pass.” Stated by MIROCK’s Promoter Jason Miller. Orient Express is a warehouse distributor serving the needs of racers world wide since 1973, and is proud to be your source for high performance parts and engine services. For more information about the products and services we offer, please visit www.orientexpress.com, call 800-645.6521, or email sales@orientexpress.com.